When it comes to your home, High Quality materials installed correctly by experienced professionals give you maximum performance and long lasting satisfaction. With over 25 years of exterior design and installation experience and thousands of satisfied customers. Nobody knows exteriors better than Great American Exteriors. From a total home exterior renovation, to a new front door or just a few windows. The Great American Exterior’s team takes pride in helping you design your exterior and exceeding your expectations. Great American Exteriors are proud members of the Elmhurst Chamber of Commerce & The Spring Road Business Association. The Elmhurst Chamber of Commerce and Industry has chosen Great American Exteriors, as their 2002 Business of the Year. Great American Exteriors were honored as the fourth recipient of this city wide recognition of businesses that serve their customers and community. With the right design, an entry way can be the focal point of any home. 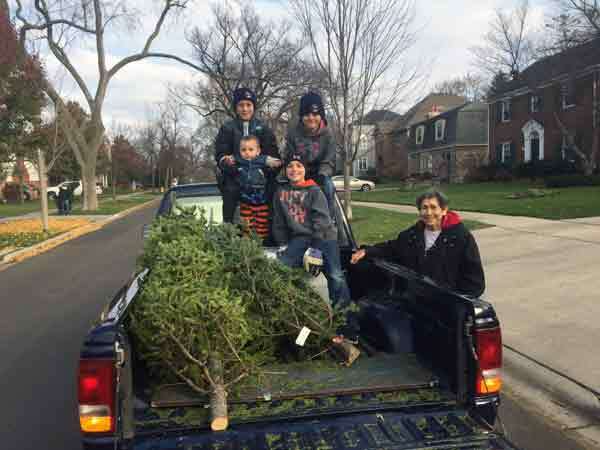 Handing out Christmas Trees in Elmhurst!